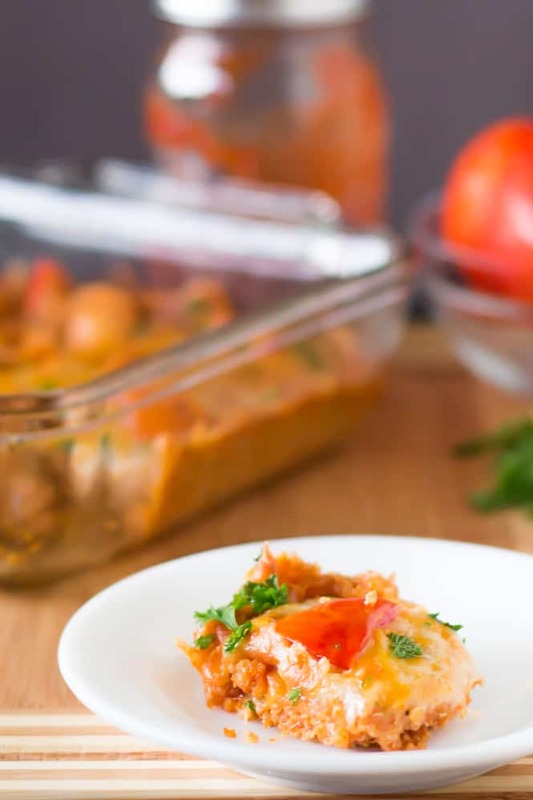 This whole wheat hearty and loaded vegetable lasagna is delicious, cheesy and completely customisable! Welcome to August! Exactly how did that happen? I get that each day has 24 hours, and each month 30/31-ish (looking at you February) and time well, never stops, but you do realise that means that half the year is already over right? That means I need to hurry up and explain this lasagna so you can get to making it before the year is officially over. I once made lasagna for Mr. Bakes when we first got together and ever since then he’s been pestering asking me kindly to make it again. Things have changed and now that I’m vegetarian, anything I make will, well, be vegetarian. I decided to just surprise him and make it, hoping that he wouldn’t scoff at the piles of eggplant and kale. Well let me tell you, not only was he elated, he dove right in and said he loved the entire thing. Cue me beaming from ear to ear! He never eats anything he doesn’t love (cue ordering many take out meals that are half eaten) and is always honest about the food before him (don’t be upset if I say “cue” again). 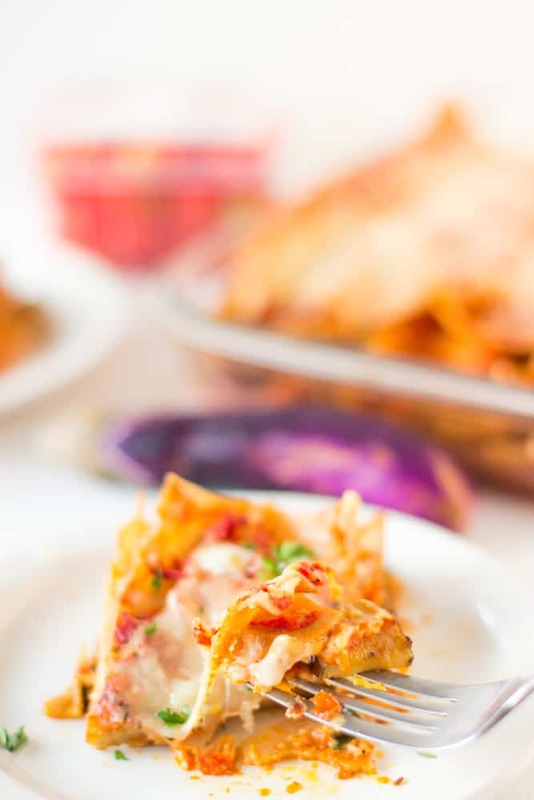 Simple as that, this lasagna is very pleasing to even avid meat lovers. Not that I’m trying to convert anyone, but this is a fabulous way to get in loads of vegetables. I’m talking eggplants, mushroom, kale, onions, bell peppers…whew! The truth is, it’s totally customisable because you can add your own veggies, but I would definitely say include the eggplants and mushrooms. I hate the phrase “it’s very meaty” but it honestly is! Mushrooms are well known for making some amazing burgers, and eggplants are right there beside them. 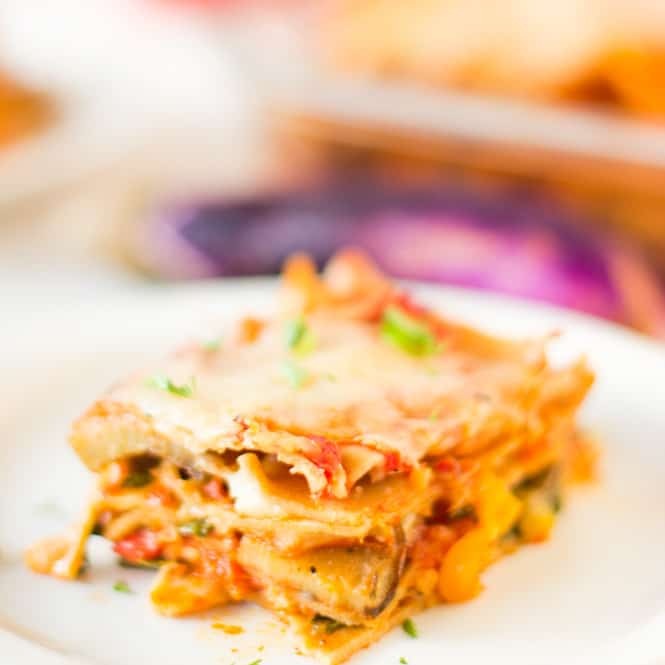 Then add in bell peppers and all the other amazing, soft veggies, tossed in juicy and tasty marinara sauce, with hot melted cheese on top and you’re eating the most heavenly lasagna I’ve ever tried. If I haven’t convinced you by now, remember that aside from the cheese this is also really good for you! I mean come on, the cheese takes it over the top, but a slice of this and you’ve had a fair share of your veggies. But let’s be real. It tastes like heaven. That’s enough! Bring a pot of salted water to a boil, then cook lasagna noodles according to directions on the box. While pasta is boiling (it took 10 minutes for me) heat 3 tablespoons of olive oil in a pan over medium high heat. Add the onion and garlic, and sauté for about 2 minutes until brown. Add the rest of the vegetables, then sprinkle the salt and pepper over everything. Mix everything together with your spatula or wooden spoon to ensure it's all incorporated. Reduce the heat to medium and sauté vegetables for about 10 minutes, or until the eggplant is soft enough that the wooden spoon or spatula can slice right through it. You can add more olive oil if necessary. Add the kale at the end until wilted for about 2 minutes. Remove from heat when finished. Mix in 1 cup of marinara sauce to coat all the vegetables. In a greased 9 x 13 inch pan, add 1/2 cup of marinara sauce on the bottom and spread. Next, cover the bottom with about 4 lasagna noodles, overlapping a bit. This will be your first layer. Next, add about 1/2 - 1/3 cup of the vegetable mixture (just ensure you have enough for 4 even layers) and then 1/2 cup of the cheese mixture on top. Repeat layers until you've reached the top layer. Add the remaining marinara sauce on top then sprinkle 1 cup mozzarella cheese over it. Cover the pan with foil and bake in the oven for 30 minutes covered, then 10 minutes uncovered to heat up cheese on top. Remove from heat and allow to cool for 10 minutes. Cut through and Enjoy! 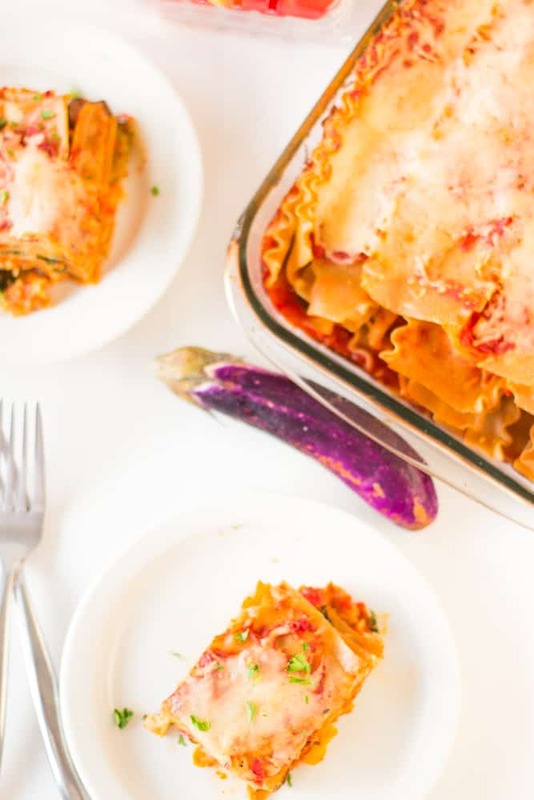 ok, I’ll need to try this vegetable lasagna on my “meat-eating” hubby. . love this . . great way to use up summer veggies . . yummm!!! Thanks Alice! I hope he likes it!! I think I actually prefer veggie lasagna to a meat one, it is just so much more fresh. Haha best phase ever! Thanks Christine! 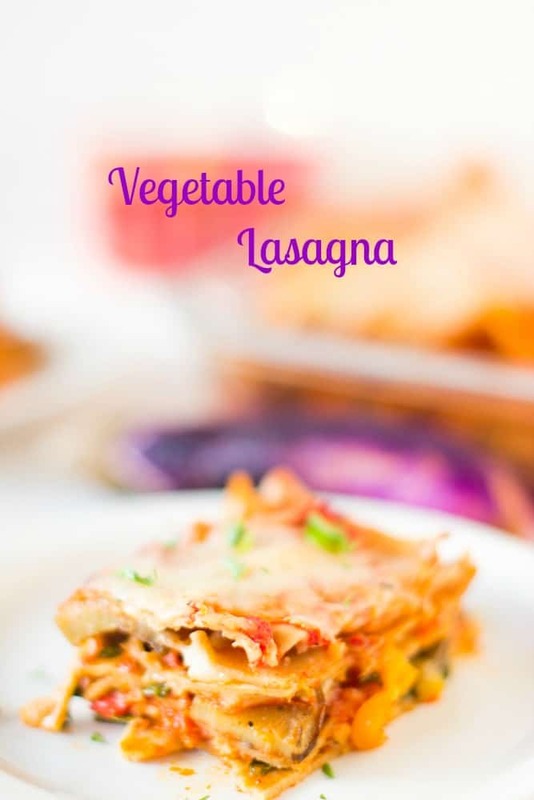 I love vegetable lasagna over a meaty one any day! I also adore anything with eggplant! Thanks Amanda! Eggplant and I are besties. 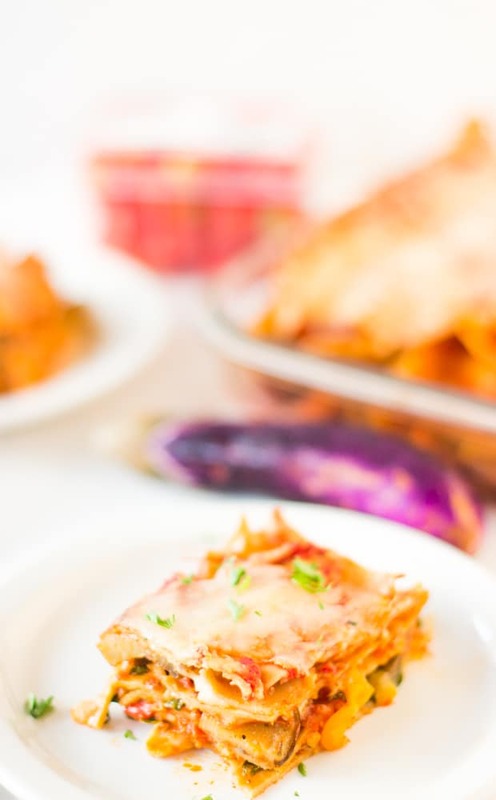 Veggie lasagna is one of my very favorites… yours looks tasty. I love veggie lasagna! 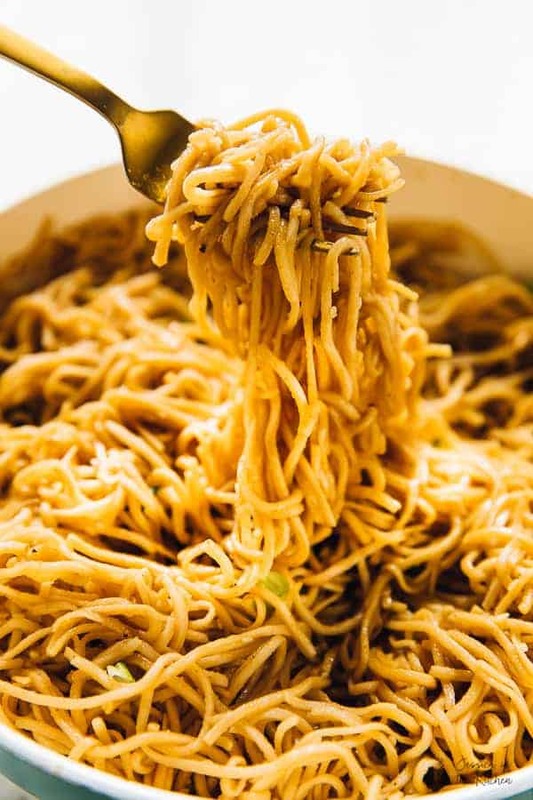 I used to make this at least once a week in Summer when we could eat wheat. My husband loves his meat too but also enjoy his fair share of vegetable goodness. Pinned! making this recipe for my vegetarian household tonight, so hearty and perfect for this winter weather we’re experiencing here in Australia at the moment! Beautiful photos Jessica! And this lasagne looks divine! 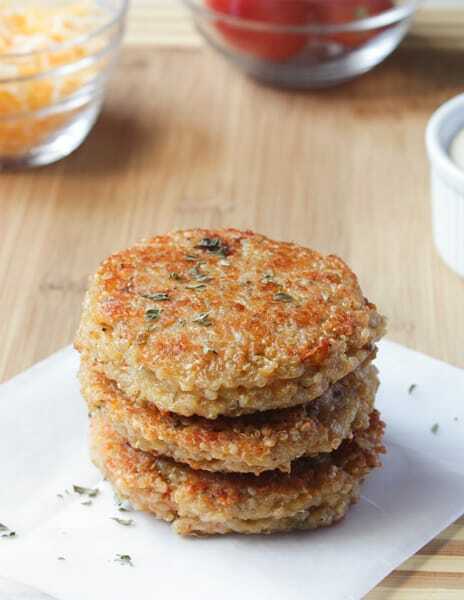 This is such a great way to use up summer veggies! Love how healthy it is girl! I’m a carnivore but I completely agree that I would LOVE this recipe! What a creative twist on a classic dish, Jessica! I love this! 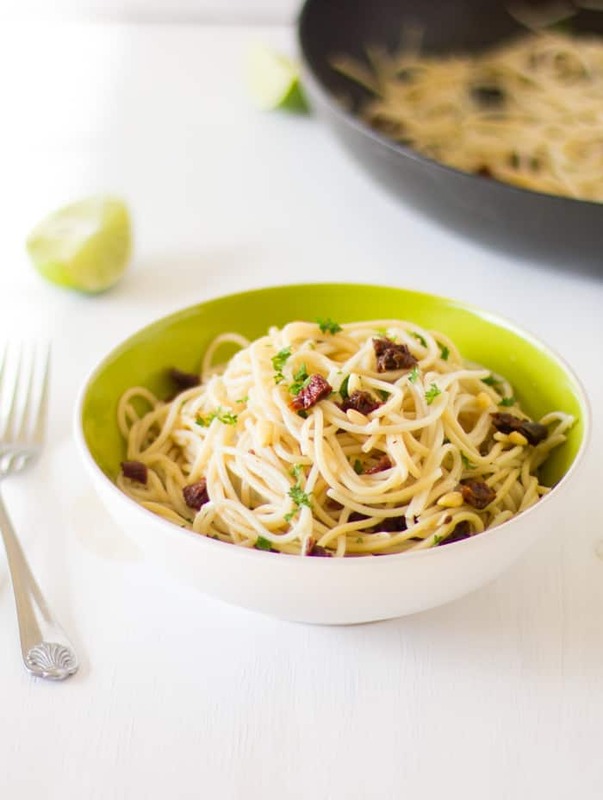 So perfect for using up those farmer’s market veggies. Looks delish! This sounds oh soooo good Jessica! Very satisfying too! You will not feel deprived with THIS healthy meal! I can’t wait to give this vegetable lasagna a try. It looks so inviting and satisfying, Jessica. Jessica, this looks amazing! 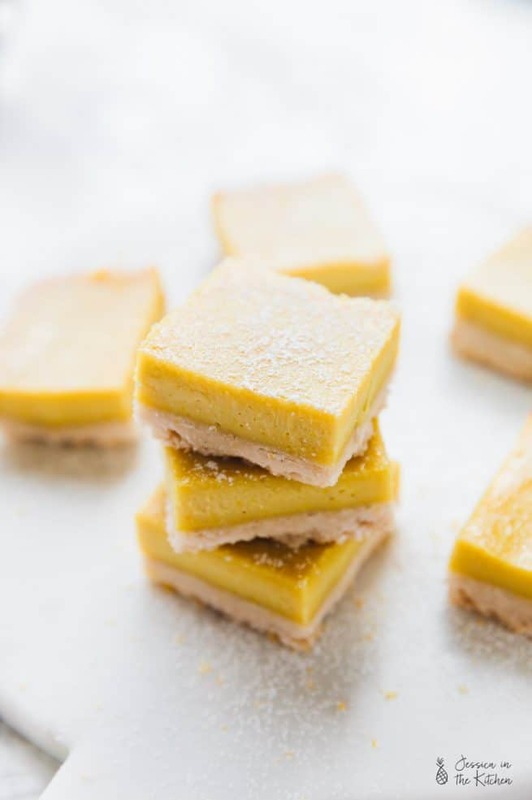 These photos are making me hungry! Have to try soon!